WHEELED BRUSH CUTTER GM300-Linyi Dingyi Power Machinery Co,.Ltd. The frame and type is new design.The machine is much bigger than normal brush cutter. Popular in many countries and easy to find the replace spare parts. 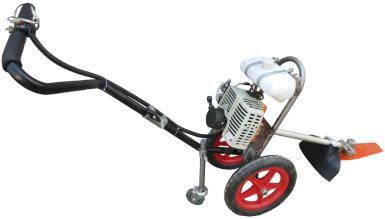 Widely used in garden,highway,airport,farm etc. Also be used as harvester for paddy, wheat, alfalfa, soybean with harvesting bracket.